This fantastic time-piece displays an aesthetically-pleasing face with re-designed, black numerals, classic blue leaf-shaped hands and a unique railway minute track that encircles the dial and counters. This watch has a Calibre MB 25.02 automatic motion. 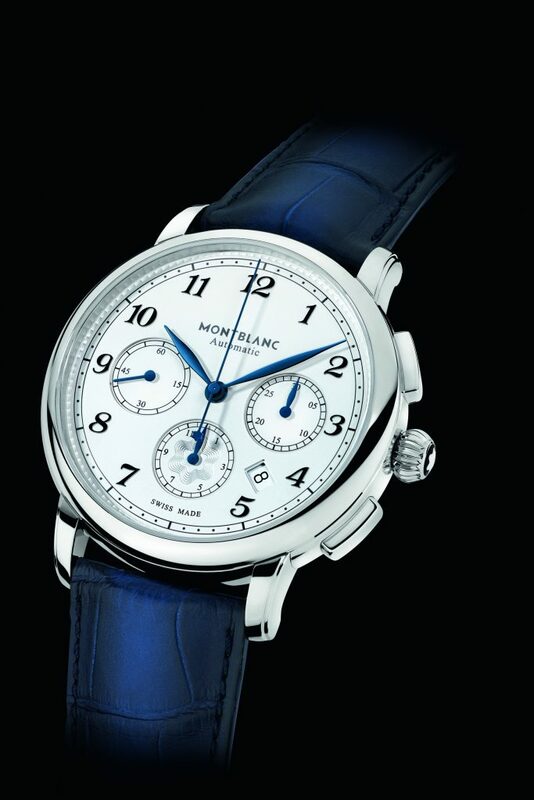 A beautiful time piece by Montblanc.